“It is a rare thing that the king requireth, and there is none other that can shew it before the king, except the gods, whose dwelling is not with flesh” (Dan 2:11). Although these Chaldeans were not aware of the true God, they knew that there were ‘gods’ or, saints who do not dwell in the flesh. They also knew that rare things or hidden truths can be revealed only to such saints. Later on, it was proved that Daniel was such a man. The Lord wants saints “whose dwelling is not with flesh” – to reveal to them the deep truths and hidden mysteries in His Word. 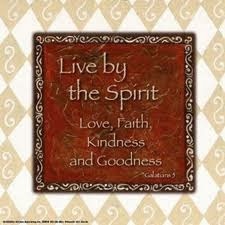 St.Paul says, “Ye are not in the flesh, but in the Spirit, if so be that the Spirit of God dwell in you” (Rom 8:9). Daniel had an excellent spirit (Dan 6:3). The Lord has filled us with His Holy Spirit so that we may live in the Spirit and not in the flesh. Dear child of God, if you live in the Spirit, the Lord will reveal to you deep things that are hidden to the wise people of this world. The king’s word was, “If ye will not make known unto me the dream with the interpretation thereof, ye shall be cut in pieces.” If we do not live in the Spirit and have deep spiritual insight and revelation, we are sure to fall prey to the devil and his vices. “To be carnally minded is death: but to be spiritually minded is life and peace” (Rom 8:6).